Last year, during Easter, we were actually out camping in our new RV. Luckily, the Easter Bunny can find you anywhere, and if your kids are outdoorsy like mine, the chocolate alternatives to fill their baskets up with is overwhelming. Need some ideas for your Easter egg hunt this year? 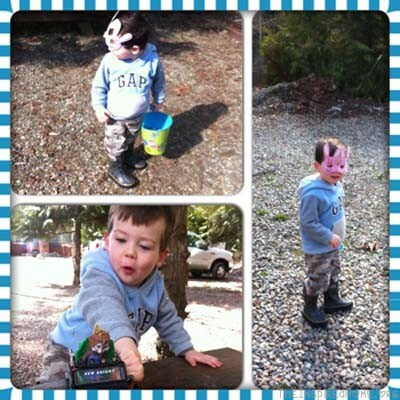 Check out our Outdoor Easter Egg Hunt for a great time. I especially love the headlamp idea! My kiddos would flip of those! They have been a popular item at my house. Gulp – only one kid has one so Mommy is constantly sharing hers. I think that one might hop into the little one’s basket! Those are such fun ideas! 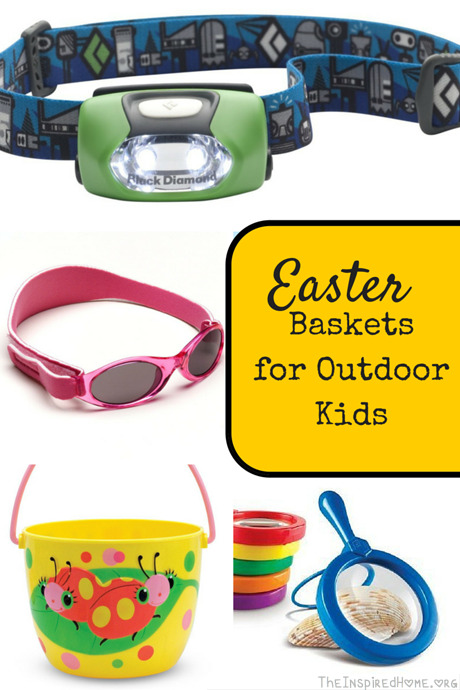 We’ve never done Easter baskets, but I know my kids love all those things!! Thanks! We think so too – what are you celebrating instead of Easter? That is a great list and I’m going to use it this year to help make things easier. I book marked and shared. Great post! Thanks, Jodi! Hope it helps.